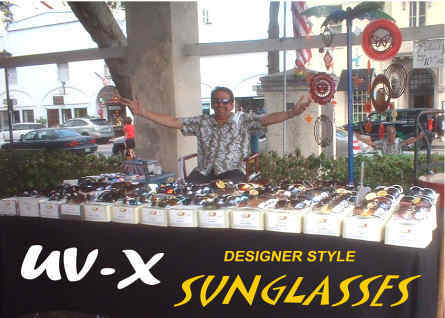 After three years in the Slave Market Mike has become the Sunglass King of St. Augustine. He has since expanded his headquarters into the Old Drug Store near the Cty Gates. Why spend a small fortune on something that you will probably lose anyway? The product that Mike sells are the max UV 400 and stylish as well.